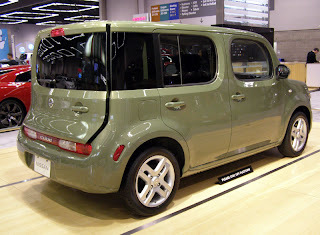 Another vehicle that interested me from the Portland Auto Show was, of course, Nissan's Cube. One of the reasons I was so happy to see the Cube in person was I wanted to see how big (or small) it really was, and I'll say that I think it's the perfect size. 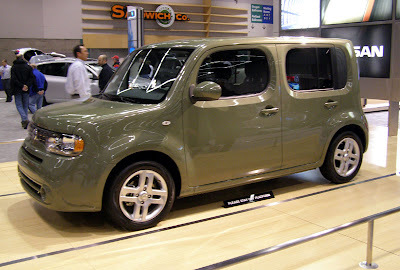 The Cube is just about the same size as the first-generation Scion xB. It's boxy shape with rounded corners looks edgy yet refined; it's not overdone, but it's still unique looking. I'd have to say the four-spoke wheels are a great look, too. Unfortunately, the vehicle was sitting on a display that the public wasn't allowed on, so I had to ask the lady to open it up to get a look at the interior. However, from my vantage point, I couldn't get great photos. From what I could see, the interior looked good. Preasent was the ripple-effect headliner and what looked to be a very functional interior space. There are plenty of Nissan-provided interior photos here. The Cube's side-opening tailgate is a neat feature for such a small vehicle. 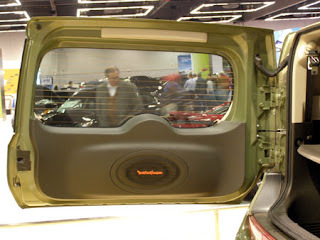 Also cool was the Rockford Fosgate subwoofer located in the tailgate's bottom panel. Other options include iPod integration, MP3/WMA CD capability, and Bluetooh hand-free phone system. The Cube has push-button start and a variety of colors, too. Don't forget the availability of a shag carpet dash pad thing (see the Nissan Web site for that one). Also unique for such a small vehicle is the inclusion of a rear sonar system, AKA "reverse sensors." These are those little round dots you see on some vehicles rear bumpers (many larger and luxury vehicles) that aid the driver in reversing, especially while parallel parking. It's certainly not a feature you see on many cars in this price range. Under the hood will be the 1.8-liter, 122 hp engine that is found in Nissan's other subcompact, the Versa. 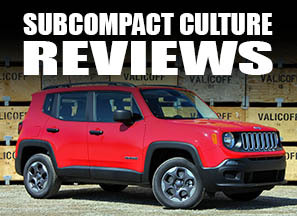 It will be mated to either a six-speed manual or CVT transmission. 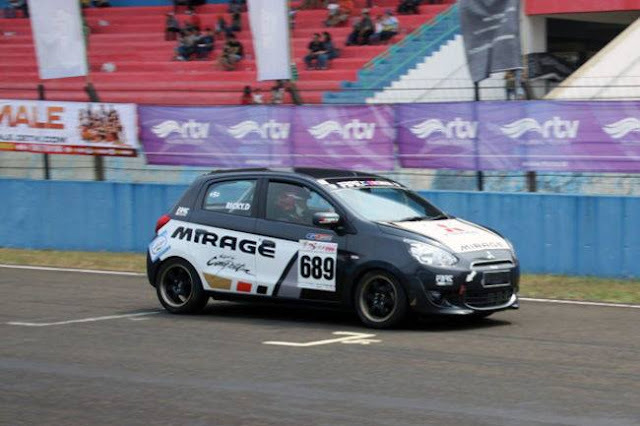 Safety features will include six airbags and vehicle dynamic control (VDC). I'm sure ABS will be available, too. 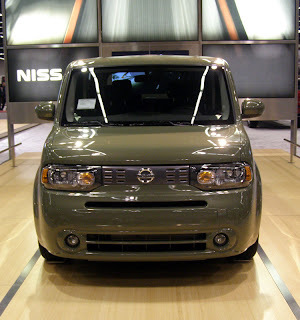 Nissan is poised to reclaim some of the buyers of the first-generation Scion xB, and the timing might be perfect. Since the original xB debuted in 2004, current owners might be just about ready to trade in their little boxes for Cubes. striking.Yellow,orange,purple,and hot pink would make great limited edition colors.I hoping that there will be a number of special models like the Scion series(Hot Lava)etc.